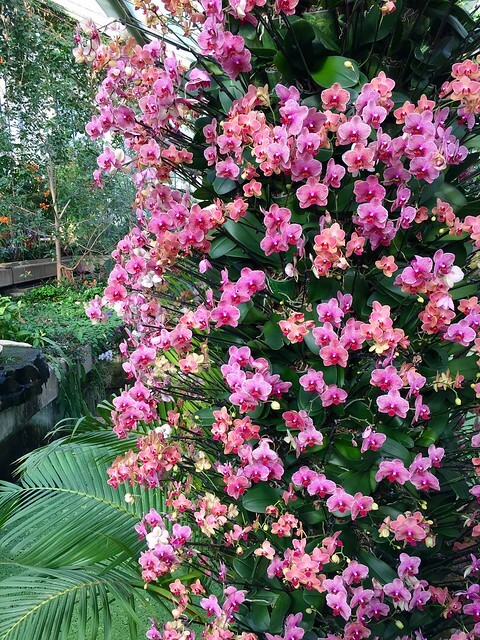 Every year, in February, Kew Gardens puts on its famous orchids display in the Princess of Wales Conservatory. 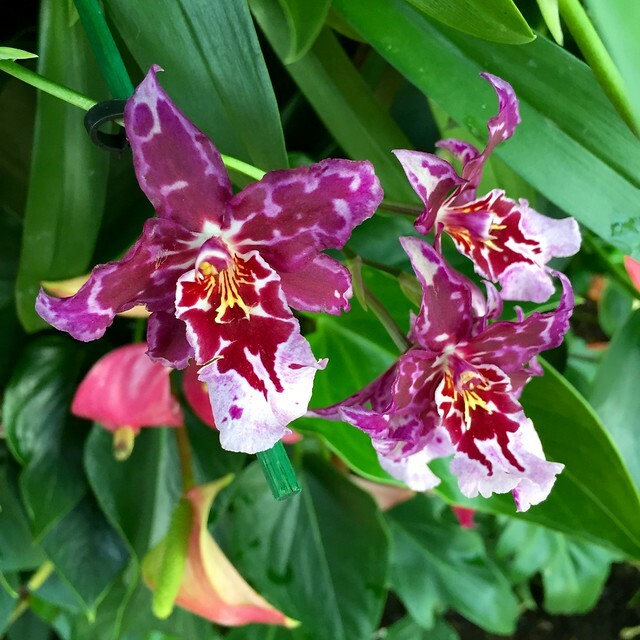 It’s wonderful to visit and spend some time in the damp warmth of a tropical rain forest while outside the glass it’s bone-freezingly cold, and let the vivid colours and fantastic shapes of the orchids take you to a different world. This year the orchid display has a Brazilian theme, so the set piece in the mini-lake is designed to look like the feathery costumes of carnival dancers. It takes a team of around a dozen, plus thirty volunteers, three weeks to build all the displays and install the plants. The team’s main challenge is keeping the plants alive during the build. Some orchids get their nutrients directly from the air – at Kew they’ve been suspended from the roof so they hang over your head. 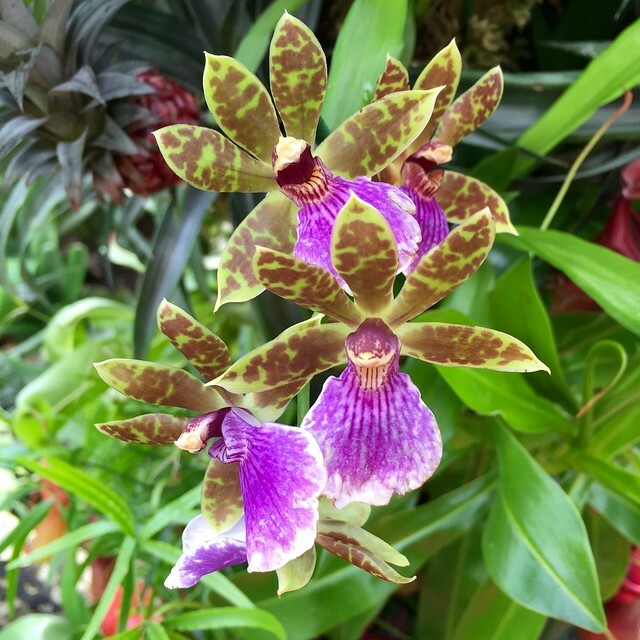 Many of the decorative arches mix orchids with pitcher plants – a type of carnivorous plant that makes a deep bowl from a cupped leaf that lures insects in and digests them. 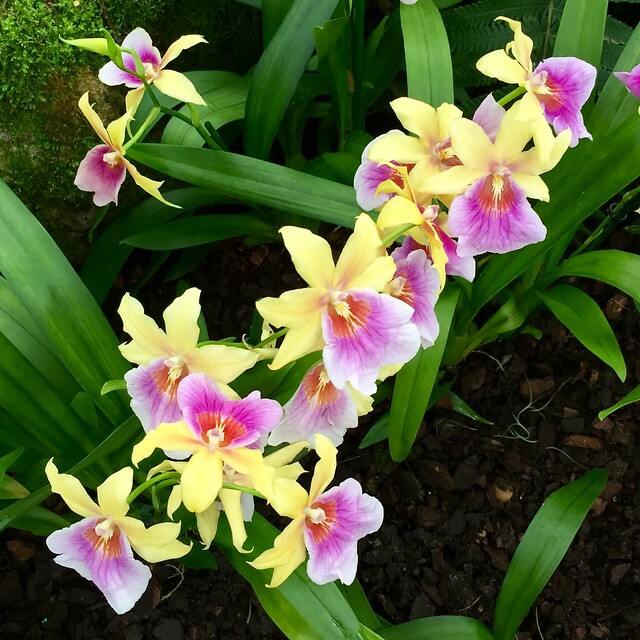 The vibrant colours and variety of patterns of the orchid flowers are quite amazing. 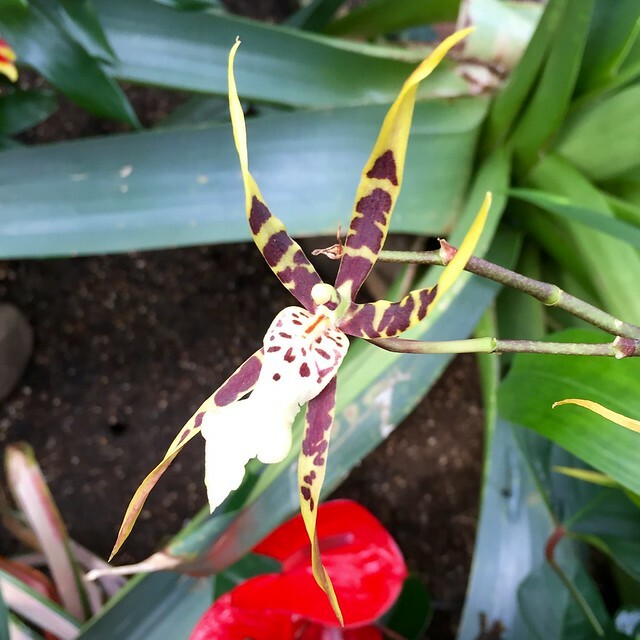 This orchid does a very good imitation of a spider. 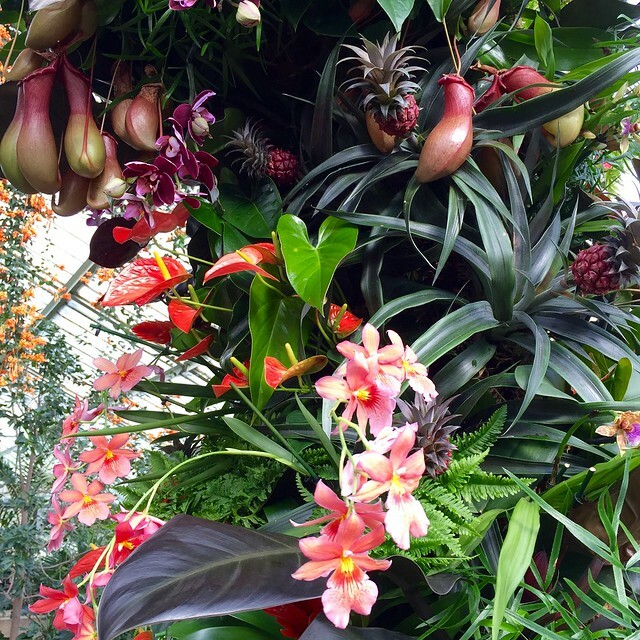 The orchids are on display at Kew until 6 March. There’s no extra charge to see them, but you have to pay the normal Kew entrance fee to enter the gardens. 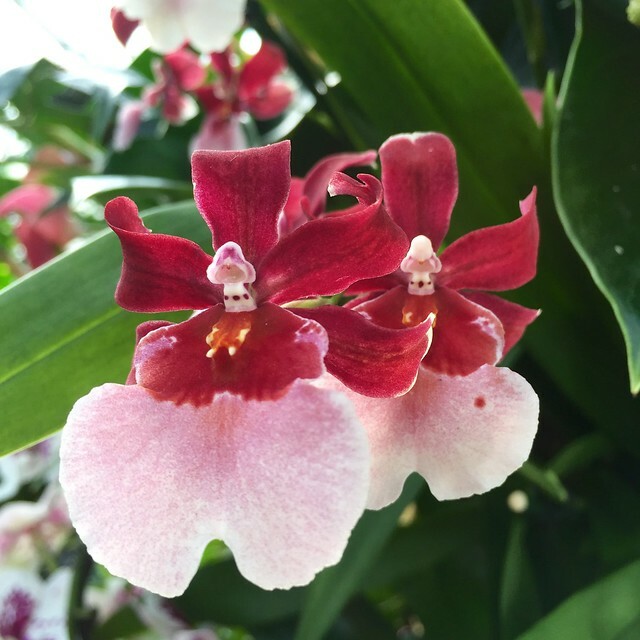 This entry was posted in Flowers and plants, Kew Gardens and tagged flowers, gardens, London, nature, orchids, plants by Fran. Bookmark the permalink. I enjoyed the orchids as well. Your photos are lovely. 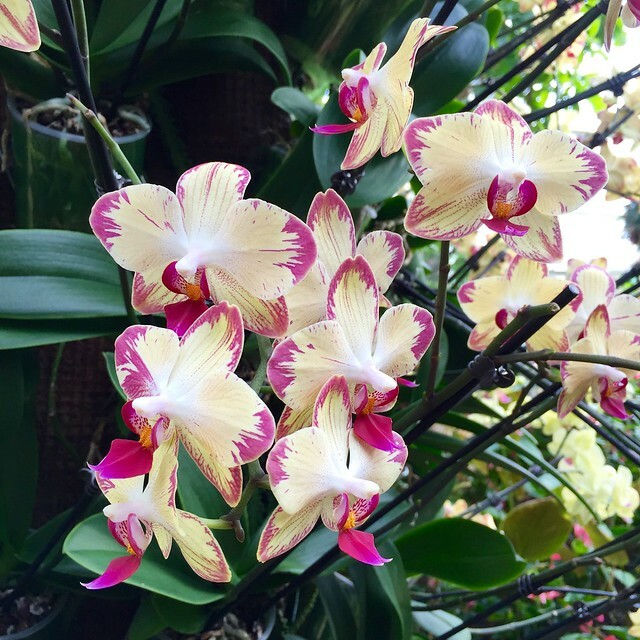 All of the orchids look gorgeous with their vibrant colours! They were fantastic – so many more than I’m able to show.